Joyce Shirley May Milton, 86, of Moncton, passed away peacefully at the Dr. Georges-L. Dumont University Hospital Centre on Friday, April 12, 2019. Born in Moncton, she was the daughter of the late Milledge and Ida (Jonah) Milton. Joyce retired from Chrysler Canada Ltd with over 50 years of dedicated service. 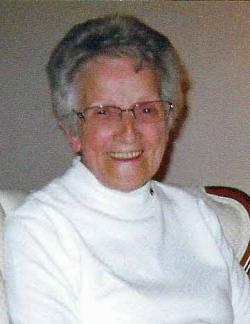 She was a member of Highfield Baptist Church and enjoyed socializing with her many friends. Joyce, the favourite aunt, will be sadly missed by several nieces and nephews, who adored their aunt Joyce tremendously and by several extended family members. She was the last surviving member of her immediate family. In addition to her parents, she was predeceased by sisters, Hattie, Verna, Mabel, Nellie and Dorothy and brothers, Gordon, Lloyd, Robert, Jack, Gerald and Ronald. The family is very grateful to the staff of the Moncton Residence for the care and compassion shown their aunt during her years there. In keeping with Joyce’s wishes, there will be no visitation hours or funeral service. A graveside service will be held at Elmwood Cemetery at a later date. No Visitation Hours or Funeral Service. Graveside Service will be held at a later date.